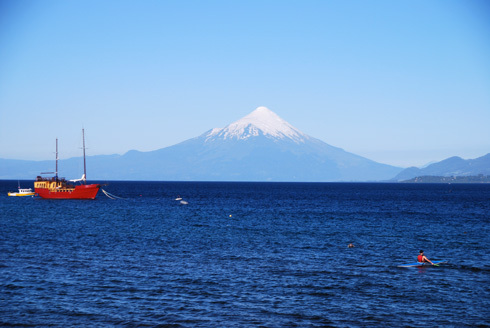 This region is situated between the towns of Temuco and Puerto Montt and is renowned for its snow-capped, active volcanoes, its deep blue lakes and its silent forests. 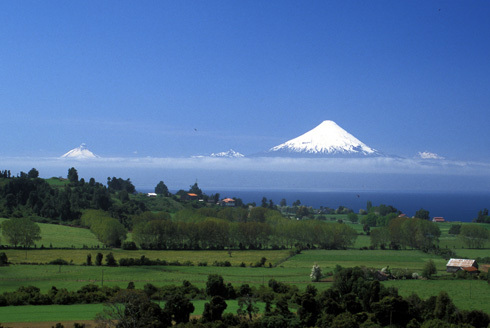 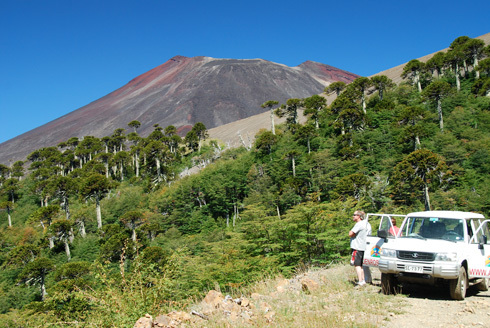 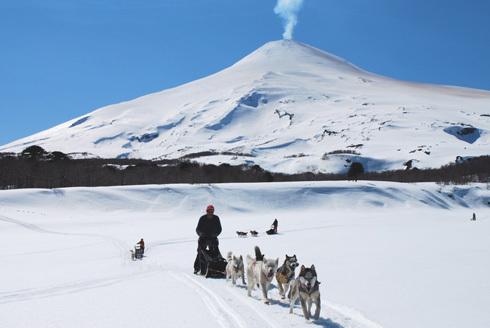 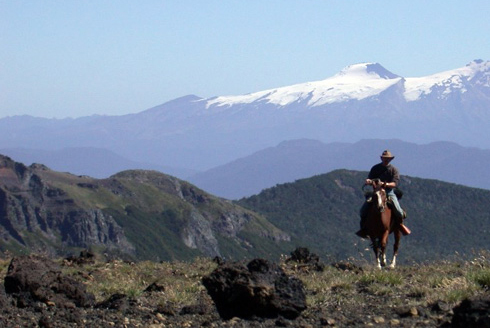 Even inexperienced mountaineers will be able to climb the volcano Villarrica near the tourist centre Pucón. 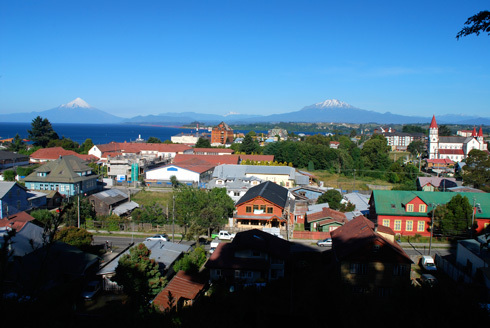 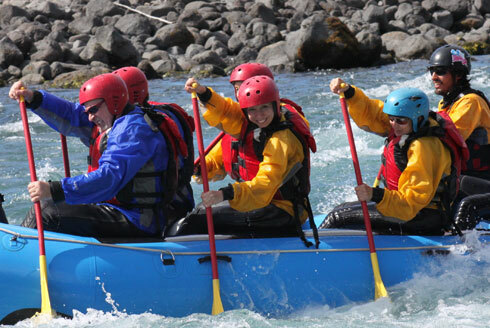 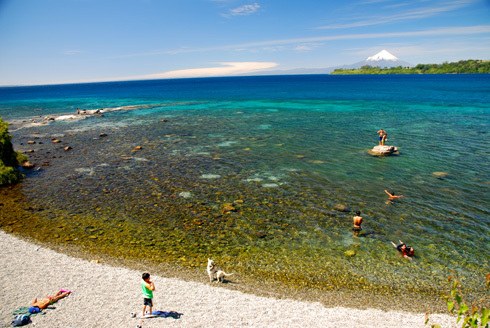 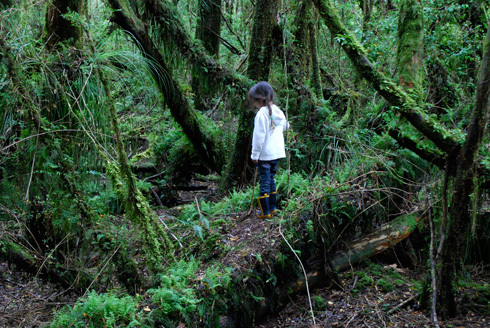 Besides trips to the picturesque towns of Puerto Varas and Valdivia, the island Chiloé also beckons. 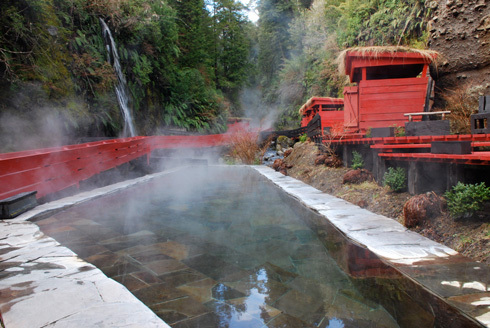 It can only be reached by ferry and beguiles with green, rain-quenched hills, mythical legends and wood shingle architecture.